The Middle Miles: Gear Review: FrogFuel Performance Protein Shot and GIVEAWAY! Gear Review: FrogFuel Performance Protein Shot and GIVEAWAY! After hard workouts, I generally like to get some protein in my body. Ideally, I'd have some eggs and toast or oatmeal with whey protein, but neither of those are very convenient things to take on-the-go. There are protein shakes, which are nice to bring to class, but if I don't have time to go back to my room and make one, I'm not about to let one of those sit in the sun while I do a track workout (I know some of you like chocolate milk, but that's no good to have out of the fridge either, plus chocolate milk really never appeals to me post-workout). 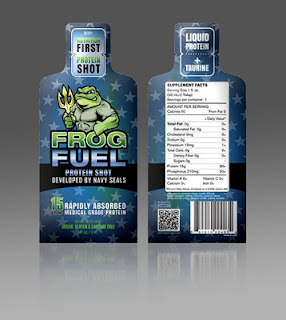 Energy and/or protein bars are great for this, since they're convenient to throw in a bag and bring on-the-go...and now FrogFuel Performance has introduced another option for busy athletes: FrogFuel Performance Protein Shots. FrogFuel was developed by two Navy Seals as a medical-grade protein supplement that delivers rapidly absorbable, bioavailable protein in a portable package. The protein is hydrolyzed for rapid absorption, and FrogFuel is enhanced with the amino acids taurine, tryptophan, histidine, methionine, glutamine and cysteine, with explanations as to what each of those amino acids do on their website. Though the website does list the essential amino acids, it doesn't indicate whether or not FrogFuel is a complete protein with the other essential amino acids included in the supplement (for reference, most animal sources of protein are complete proteins, but most vegetarian sources are not complete and require more than one food to get all essential amino acids, e.g. beans and grains). Unlike protein shakes and bars, FrogFuel is a gel. It has a very liquid-y consistency, akin to the more watery gels on the market. Since it comes in a small package, doesn't require refrigeration, and there is no need for any preparation, it's super convenient. As far as taste goes, FrogFuel is described as "berry," though like most sports-foods, the actual taste is a bit harder to really name. It's extremely...either sweet or sour, I don't know, because candy like SweeTarts, Warheads, and Sour Patch Kids have forever messed up my palate when it comes to extremes like that, so imagine one of those candies melted down. Not as tasty as getting your protein from eggs or steak, but I guess eggs and steak don't fit nicely in my workout bag. 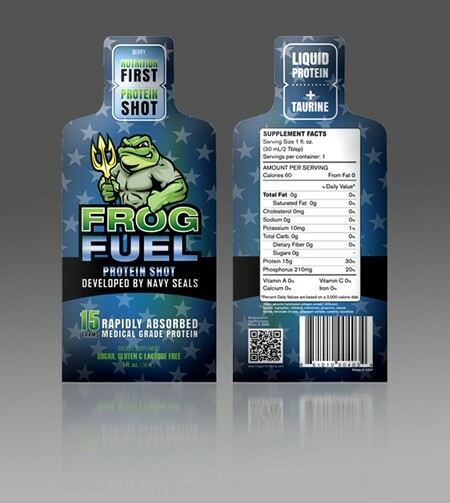 Each FrogFuel Performance Protein Shot contains 15g of protein. This accounts for all of its 60 Calories, as there are no calories from fat or carbohydrates. That's great for weightlifters, though runners may want some carbs post-workout to restock their glycogen (easy enough, just have a piece of fruit with your FrogFuel). There is also 210mg of Phosphorus (20% of your daily value according to the FDA, if you like to let the government tell you how much food to eat...), and a very small amount of Potassium (10g). That's it as far as vitamins and minerals, so no worries for those of you who watch your sodium intake, for example. 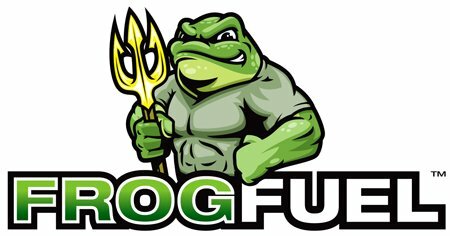 The ingredients in FrogFuel include water, enzyme hydrolyzed collagen protein, citric acid, taurine, tryptophan, histidine, methonine, glutamine, natural flavors, benzoate of soda, potassium sorbate, cysteine, and sucralose. In case you're wondering, benzoate of soda (better known as sodium benzoate) and potassium sorbate are preservatives, and personally, I'd be happier if they used something other than sodium benzoate (or if they only used potassium sorbate), since sodium benzoate has some health controversy associated with it, but other than that, the ingredients look fine to me (although I'd assume some of you probably aren't big fans of sucralose, which is an artificial sweetener). FrogFuel Performance Protein Shots are a super-convenient and portable way to get some protein in after a workout, especially for busy athletes on-the-go. FrogFuel is most likely a fantastic supplement for weightlifters, though as stated before, runners may want to pair it with a banana for maximum recovery. It's not the best tasting protein source out there, but delicious food ranks below quickly absorbed protein on my importance meter immediately post-workout, and unless you have a personal chef to bring you omelets to the track, FrogFuel may be a good alternative to protein bars! FrogFuel Performance Protein Shots are available from the Frog Performance website for $48 for a 24-serving box. They are also available for autoship. Additionally, there is a caffeine-enhanced version available that offers 80mg of caffeine, though I have not tested that version. 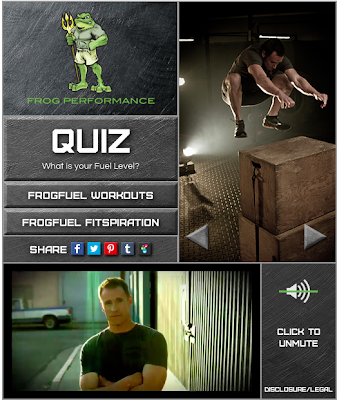 Also, here's a fun app from FrogFuel to play around with that has a few example workouts for you. Screenshot of the app. I wanted to embed the actual app here, but Blogger doesn't seem to want to cooperate. Clicking on the image should take you to the app though. Full disclosure: FrogFuel Performance Protein Shots were provided by Frog Performance free of charge in exchange for a review. The opinions contained in this review are mine and based on my experience, and do not reflect the opinions of Frog Performance or anyone else. My favorite workouts are speed workouts. They just make me feel fast, unlike long runs. 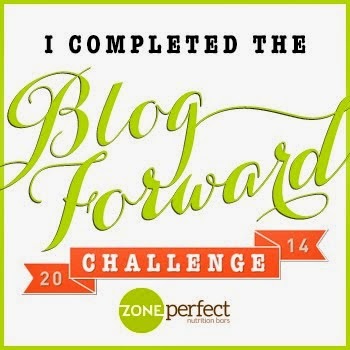 Favorite workouts are super-setted weight training workouts with short rest periods!! Thanks!